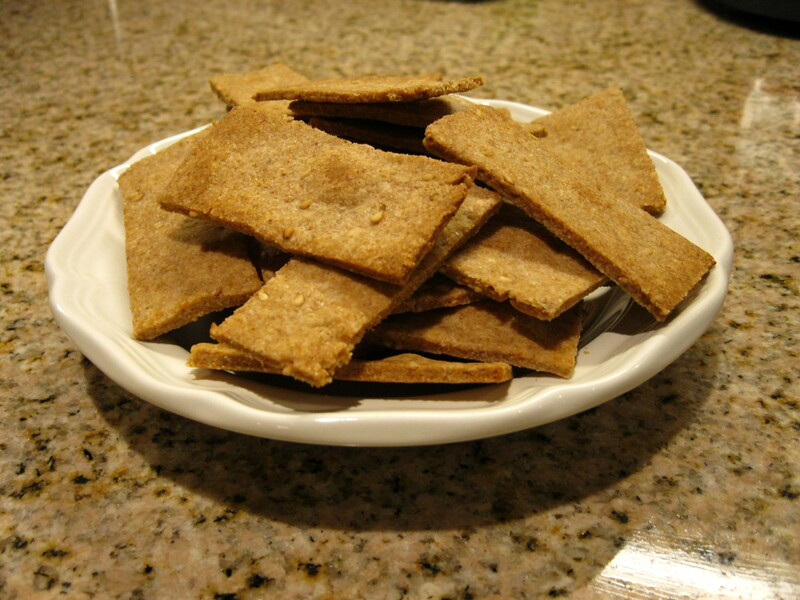 My friend, the illustrious Dr. Stephanie S., posted a recipe for basic homemade crackers on Facebook. I had exactly one cup of whole wheat flour sitting in my pantry, so I decided to give it a try. Mmmm! First, preheat your oven to 400 degrees, and get a cookie sheet ready. If it is non-stick, no worries. Otherwise, give it a coat of cooking spray. 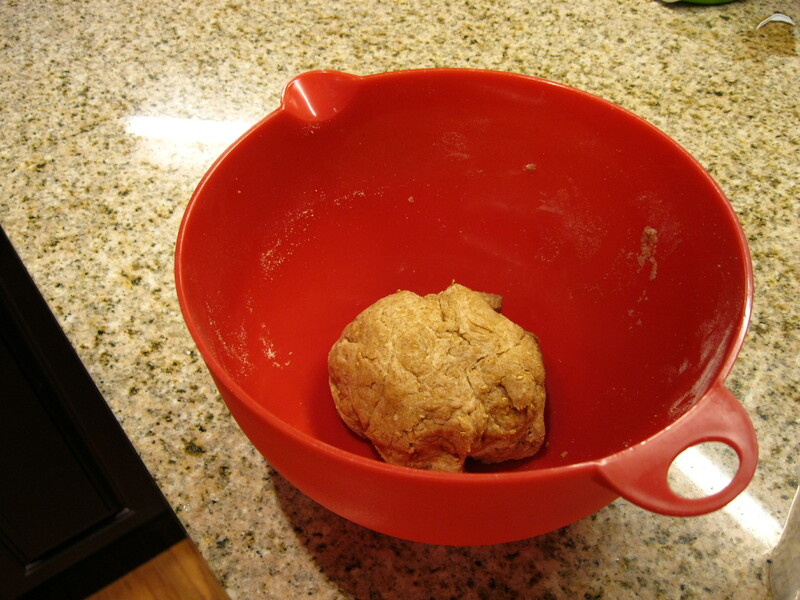 Knead the ingredients until dough forms, and is slightly sticky. 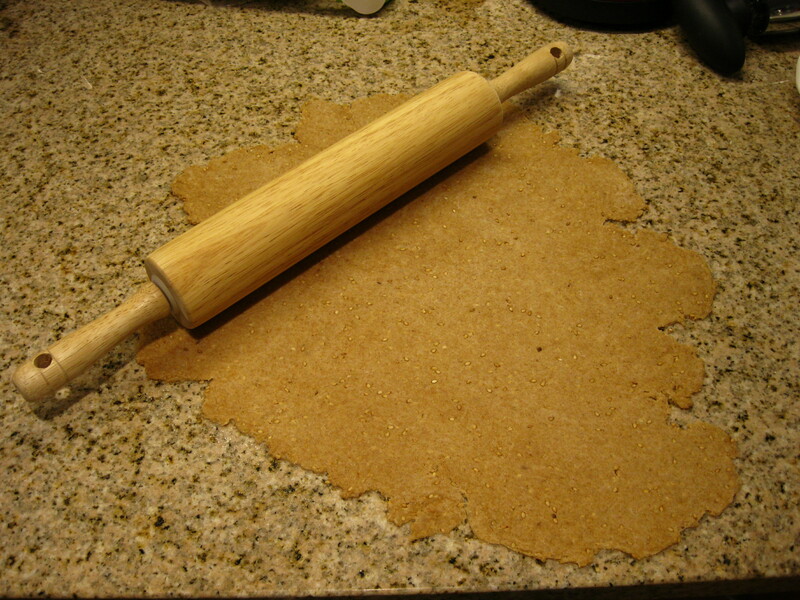 Roll out your dough (on a non-stick surface, or a surface prepped with cooking spray) to about 1/4 inch thickness, then cut into the shape of your choice. 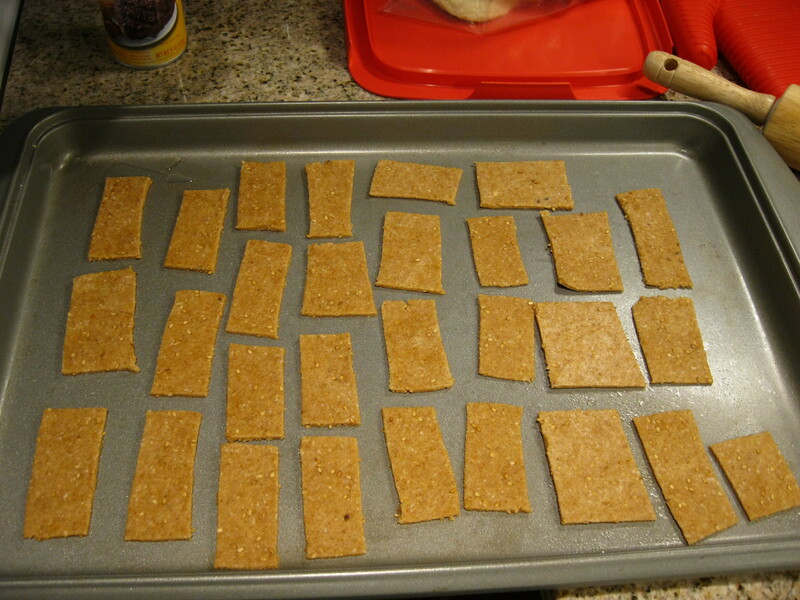 Pop the cut crackers in the oven for 8-10 minutes, until crispy. Pretty tasty little wafers. These would be good with hummus. 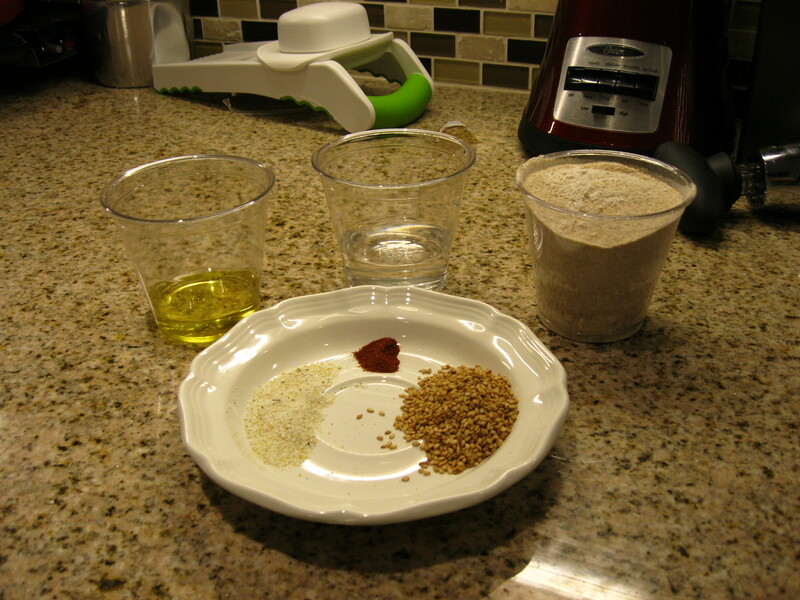 The basics are always the same: Flour, water, oil. Mix up the flavor ingredients as you like to change up the taste. Next time, I’m using rosemary!